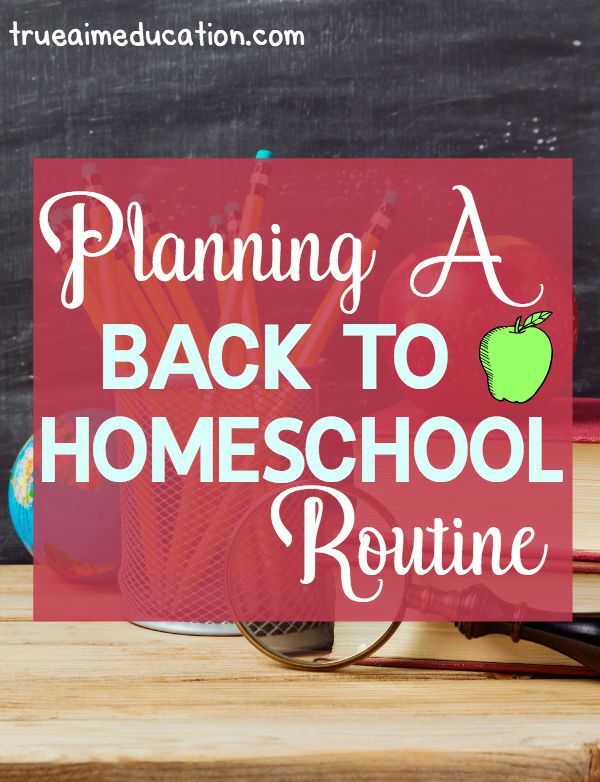 Summer is coming to an end – and for those of you who do not homeschool year-round, getting back into a day-to-day schedule can be a struggle. 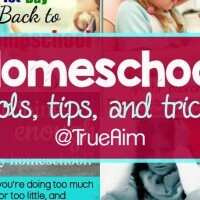 Here are some easy tips for planning a back to homeschool school routine! Start your school bedtime routine early. To get back into the swing of things – going to bed earlier and waking up earlier – we start getting into the hang of our school bedtime routine about two weeks before school. This slowly helps our bodies readjust. Get back into the habit of eating breakfast every morning. In the summer, we very rarely eat breakfast. Throughout the school year, we try to eat breakfast every morning. This prevents snacking during school time. You can also make a quick smoothie to drink during school. Going back to school shopping for new colorful pencils, notebooks, and glue is always a fun way to get in the back to school spirit. Create a daily schedule for each child. I have began creating a daily checklist for myself. If it’s not on the checklist, it’s most likely forgot about. Creating a basic family spreadsheet with chores, daily subjects, and outside-of-the-house classes makes a back-to-homeschool routine less stressful. Will you all do Bible as a family, and then math individually? Do you know one student who might finish a subject faster than another? What subjects will you do everyday, and which ones only on certain days? Sort out your thoughts, and then make a final “master” spreadsheet to hang on the fridge for the first few weeks. Figure out what curriculum you need for which child. Making a spreadsheet, on Microsoft Excel or on paper, always helps me. Mark your children’s names across the top. Down below, write what subjects you are covering. And in the boxes, list each curriculum, if you need to buy/rent textbooks, if you already have them, or if you’re totally creating your own curriculum. 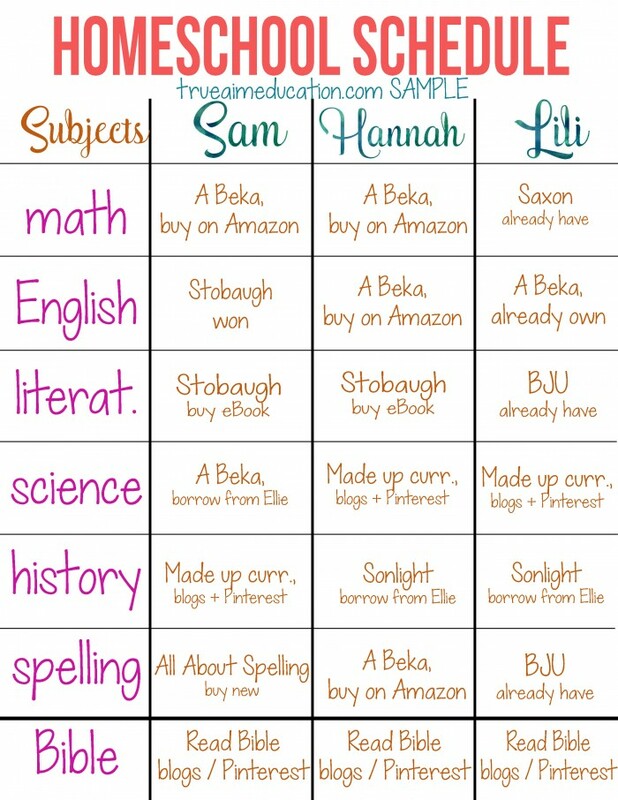 Homeschool Classifieds, Slugbooks, Amazon, eBay, and Facebook groups are great ways to find homeschool curriculum for cheap. Start reviewing last year’s material. Although we keep the traditional August-June school schedule, we do learn year round. (I’m addicted to history.) To get back into the school mentality, we recap the past year’s studies. There are so many fun, textbook-free ways to learn and memorize. Instead of hitting the books hard the first day, slowly begin reviewing last year’s material, briefing over old curriculum, and specifically your weak points. Getting organized always puts me in a more productive mood. Go through school papers, and purge the unnecessary. Throw away unusable school supplies, and figure out what you need to start the new school year. Sort through books, and get rid of what you don’t need. Invest in a bookshelf or bins, and sort curriculum, supplies, and crafts. Make a list of all the curriculum and supplies you need to buy. If you’re creating your own history/science curriculum, buy a year-at-a-glance calendar, and loosely sort out your Pinterest and blog findings. Buying a planner (and using it until it falls apart) can easily organize day-to-day plans. Or get a FREE online one! What are some of your favorite ways to plan for the new school year? 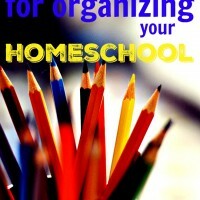 My best homeschooling years are those that I have organized before starting. After two and a half years of homeschooling, my son started embarking on a new adventure. I had great memories of homeschooling. Now my family is using online curriculum.